Yes! Winter is the Best Time to Treat your Varicose and Spider Veins! It’s true! These blustery temperatures in Northern Nevada are the best time to prep your legs and get them ready for Spring and Summer! If you’ve been wanting to rid your legs of troublesome varicose and spider veins, now’s the ideal time to do so! Varicose vein and spider vein treatments can eliminate veins that create bulging and twisting lines in the lower body – and relieve common symptoms like: pain, aching, fatigue, swelling, leg heaviness, burning, and itching. Both varicose veins and spider veins are cause by venous insufficiency which is this backward flow of blood that occurs when the tiny valves inside veins which keep the blood flowing in a certain direction, are damaged, and wear out, allowing blood to collect inside the affected area. The result? Major swelling of the vessels, which can often be seen on the outside of the legs. If unchecked this can result in tissue damage, as well as damage to the surrounding blood vessels. Skin changes, like discoloration and thickening will most often occur and all of this can be extremely painful. At Reno Vein Clinic, we offer some of the most advanced and state-of-the-art treatments available including Sclerotherapy and Radiofrequency Closure. All are minimally invasive and require minimal downtime and recovery. Here are a few more reasons why wintertime is truly the best time for varicose and spider vein treatment. – Wearing seasonally appropriate long pants and tights will hide the mild bruising/swelling that comes from vein treatment. – It is more comfortable to wear compression stockings and conceal them in the cooler months. – While wearing winter clothes, affected, treated areas are unlikely to be exposed to sunlight, which can cause discoloration during the time of treatment. – More time to see the results is provided, since warmer weather is still a few months away. There really is no better time to get rid if your varicose and spider veins and get your legs looking the way you want them to! Contact us at Reno Vein Clinic for more information! (775) 329-3100. At the Reno Vein Clinic, minimal sedation is used, so the patient is usually sent home within an hour after the surgery . Most patients are up and moving about normally within a few hours of the surgery; however the patient is asked not to do any excessive exercise for a couple of days. The next day the patient comes in for the post-op check. Bandages are removed and exchanged for compression hose. The physician will do an ultrasound to ensure the veins have closed correctly, and will answer any questions the patient may have. The Doctor will see the patient again at 3, 6 and sometimes 12 months intervals. The patient is asked to wear 140 compression hose during daytime activities for 2 weeks after the surgery. This helps promote both healing and post surgery comfort. The procedure Reno Vein Clinic uses has been proven to be much less painful and cause significantly less bruising than other procedures. However each patient is different and may react differently. Wearing compression hose will significantly reduce the occurrence and extent of bruising. Curious about compression stockings and how they work? Well, we’ve compiled some of the most popular questions and have answers here… all in one place. Compression stockings are specialized long socks, which are worn from the foot to the knee/thigh. These specialized stockings have a gradient of pressure (tighter in the foot and gradually less tight at the knee). These stockings when worn properly reduce the swelling in the feet and also decrease the chance of blood clot formation in the legs. Compression stockings are made of strong elastic material and fit tightly at the feet and gradually become less tight at the knee/thigh. The pressure in the stockings is graded and this allows for the stockings to constantly squeeze the leg muscles. This motion helps to drive blood back to the heart, reduce swelling in the feet and prevent blood clot formation. What are compression stockings used to treat? Compression stockings are an excellent and simple method of treating disorders such as chronic venous insufficiency, varicose veins, lymphedema, post phlebitic syndrome and prevention of blood clots in the leg. The stockings can be worn as either in-patient or out patient. The stockings do not eliminate the varicose veins but do help reduce the swelling, aching and heaviness feeling that individuals with varicose veins experience. It is also recommended that such stockings be worn during long plane rides to decrease the probability of blood clot formation in the legs. How does one wear compression stockings? The stockings should be worn first thing in the morning before one gets out of bed. Some practice is required to wear compression stockings. One may either turn the stockings inside out or apply a small amount of silicone lotion to assist in wearing the stockings. One may also place a rubber glove on the toes and then pass the stockings over them to wear the stockings. A good deal of pulling is required to get the stockings past the ankle. This gets easier when one is used to wearing the stockings. Are there any complications associated with use of compression stockings? There are no complications associated with compression stockings. However, they do take time to adjust to and the patient experience warm leg, especially in hot weather. Spider veins can cause discomfort and embarrassment. Fortunately, there are many treatment options that can improve appearances. Spider vein treatments are designed to alleviate symptoms, prevent complications or improve the appearance of spider veins. There are four popular treatment options available today. Compression socks are a good option for individuals that want to reduce leg pain, although they can’t improve appearance. Laser treatments, surgery and sclerotherapy all improve symptoms and appearance. Usually, sclerotherapy is the best option because it has the lowest risk and the least amount of pain. Compression stockings are the most affordable spider vein treatment available. These stockings put pressure on the veins in the legs and can alleviate pain and discomfort. There are three types of stockings available. Support pantyhose offer little pressure and cannot apply pressure to a specific area. A family physician may use surface laser treatments to treat spider veins. This procedure uses strong bursts of light that are sent throughout the skin. This causes veins to slowly fade, although the process can be very painful even though no needles or incisions are made. Laser treatments do not work for everyone because the laser only works with certain skin types and shades. It’s possible for a single spider vein to require up to five separate treatments and veins larger than 3mm cannot be treated with a laser. Potential side effects include swollen skin and discoloration that can last for months. Surgery is the most invasive spider vein treatment available and is reserved for large veins. This procedure involves tying veins shut or removing them completely with small incisions. Although it doesn’t affect circulation, surgery can be hard to recover from and involves many risks. The recovery takes up to a month and pain can last for many weeks. Permanent scars, infection and nerve tissue damage are possible risks of the surgery. By far the most common spider vein treatment is a procedure called sclerotherapy. This treatment usually takes place in the office of a family physician. The doctor will inject a very small amount of liquid chemical into the spider vein, which causes it to swell and then stick together and seal. This stops the flow of blood through the vein and it turns to scar tissue. Within weeks the appearance usually fades completely. No anesthesia is required, although two or three treatments may be necessary for stubborn veins. Compression socks are usually worn afterwards to reduce swelling. If you are interested in researching treatment options, please call us today and set up a consultation! (775) 329-3100. Q. Who should perform sclerotherapy? A. While the treatment of sclerotherapy becomes more popular for a variety of medical disciplines including, plastic surgery and dermatology offices, it’s important to choose someone who is experienced to treat your veins. The truth is, sclerotherapy may be performed by any type of physician, however patients are more likely to receive the best results by seeing a physician who is highly experienced, specializes in vein treatments and someone who is an expert in treating venous diseases. We recommend finding a physician who is board certified in pheblology, vascular surgery or vascular medicine and to find a practice that is dedicated solely to the treatment and removal of varicose and spider veins. The two options for spider vein treatment are sclerotherapy and laser. Slerotherapy involves injecting a liquid agent through a tiny needle directly into your spider veins, causing them to contract and collapse. This procedure is best suited for medium to large spider veins because the needle is fitted into the vein. This procedure is performed in the office and is relatively painless. The patient wears compression hose following the procedure. Normal activities can be resumed immediately. Treatments are performed six weeks apart and it usually takes two to four treatments for sclerotherapy to be effective. Sclerotherapy is considered cosmetic and can treat spider veins on hands, face, legs and chest. During a laser treatment, the Gemini laser is applied to the skin over the spider vein. The energy from the laser causes the spider veins to coagulate and shrink. Laser therapy is most effective for small and medium spider veins. You will likely experience mild discomfort similar to having a small rubber band snapped against your skin. 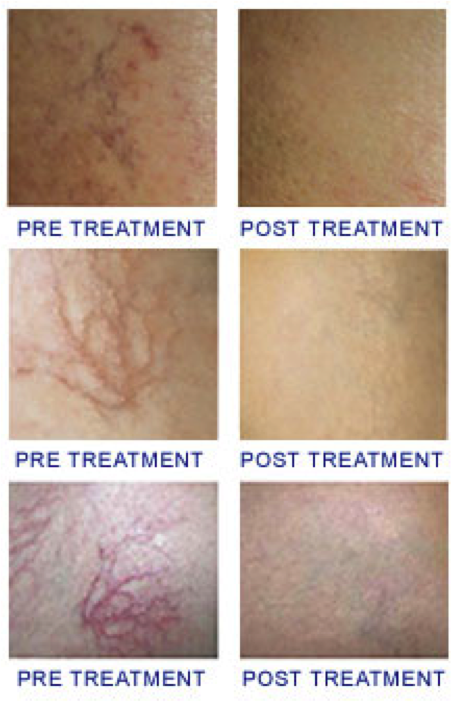 Over two to six weeks, the spider veins will start to fade and you will see improved appearance after each treatment. The laser treatment usually requires three to five treatments done six to eight weeks apart. Contact Reno Vein Clinic at (775) 329-3100 to schedule a free consultation and evaluation of your spider veins. You can also visit http://www.RenoVeinClinic.com to learn more. Besides being hard to pronounce, Telangiectasia is the chronic dilation of groups of capillaries near the surface of the skin. It can develop anywhere on the body but is most common on the face around the nose, cheeks and chin. When similar veins are found on the legs they are commonly called spider veins. The causes of Telangiectasia can be congenital and acquired. Acquired causes include venous hypertension with underlying varicose veins. Blood flow abnormalities can also lead to Telangiectasia or spider veins in the legs. Telangiectasia usually isn’t painful, but the underlying causes may be. 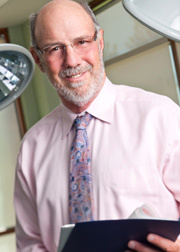 There are two treatment options for Telangiectasia, laser treatments and foam sclerotherapy. Foam sclerotherapy is a non-operative treatment that uses micro-injection technology to inject a FDA approved solution called Sotradecol®. Compression stockings must be worn after sclerotherapy treatments on the legs. 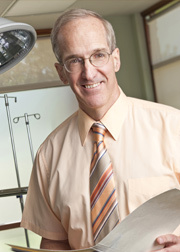 The Reno Vein Clinic has experienced doctors who perform both treatment options for Telangiectasia. Call to set up a consultation today (775) 329-3100 or visit www.renoveinclinic.com for more information.